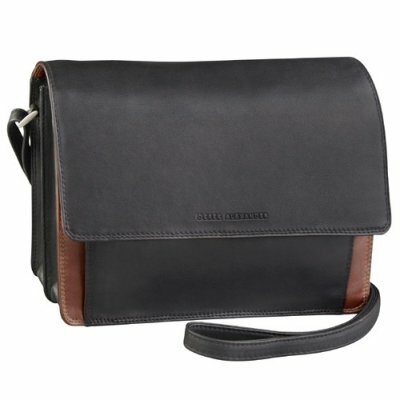 Cross town, country, or continent with your essentials confidently stowed in the Derek Alexander North/South Top Zip Shoulder Bag. 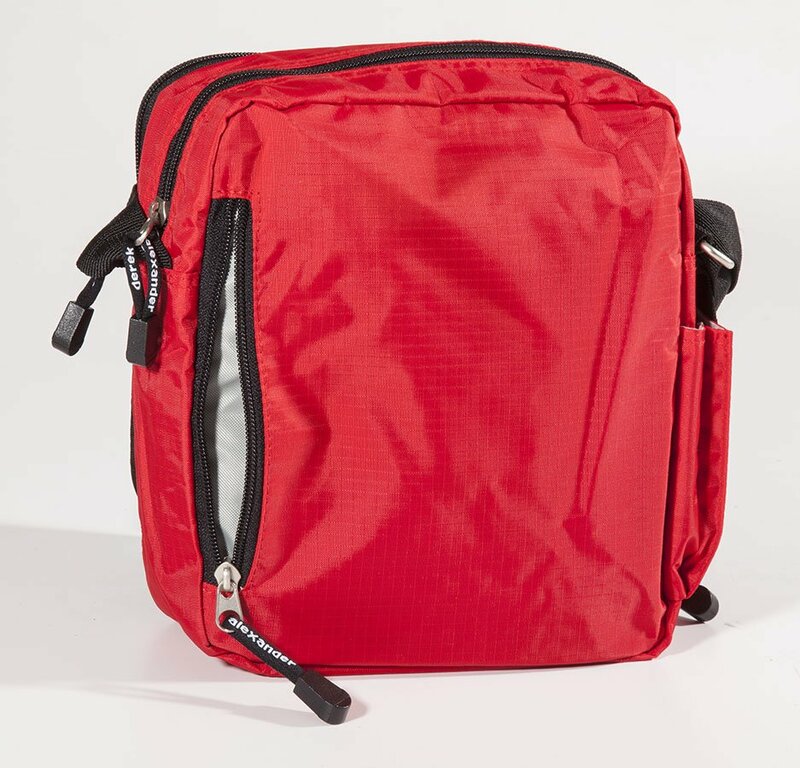 This nylon handbag provides two compartments; the first compartment provides a gusted opening and contains a back wall sleeve pocket, six credit card sleeves, a pen sleeve, a remove key ring and a zippered mesh pocket. 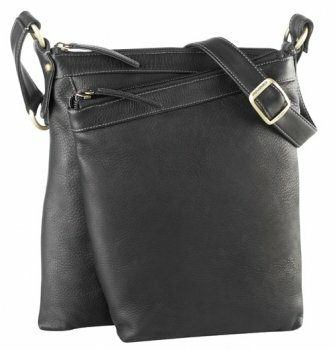 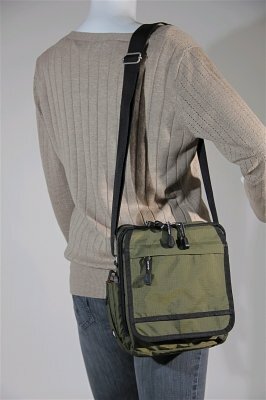 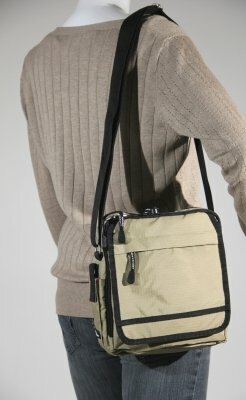 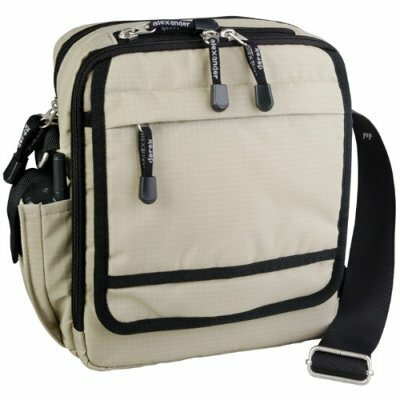 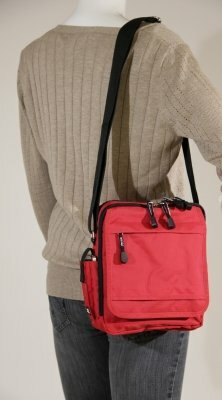 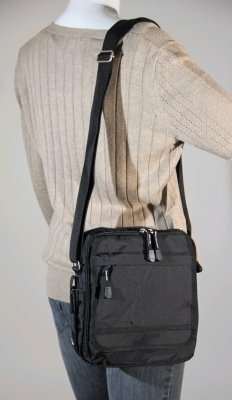 There is a flap located on front of this compartment that has a zippered pocket on top and a sleeve pocket underneath. The second compartment secured with a top zip provides a large back wall sleeve pocket and also provides plenty of storage space. 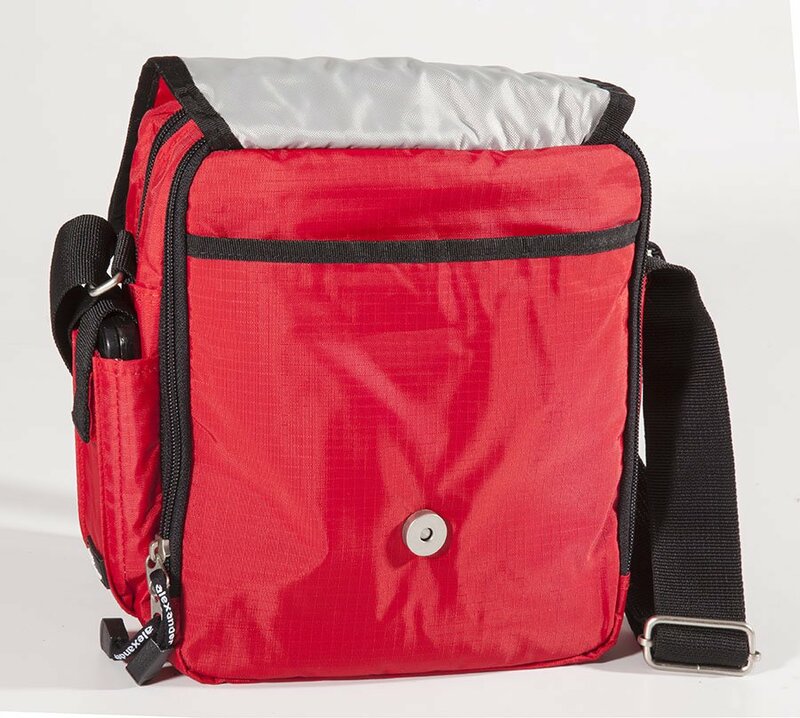 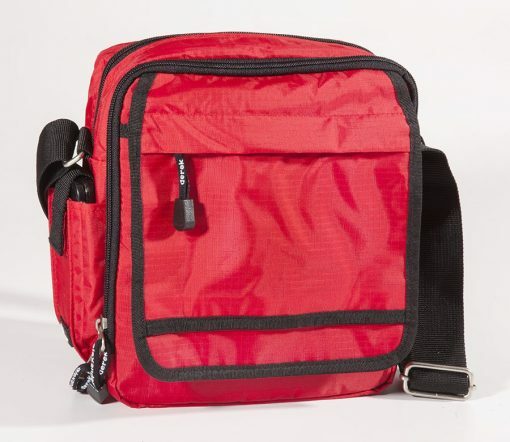 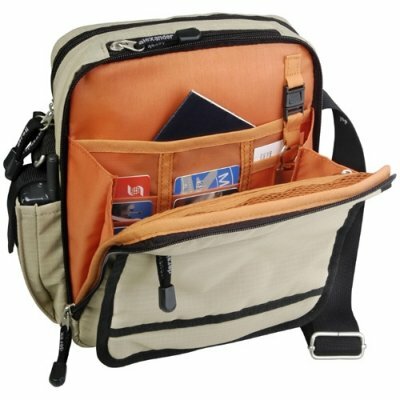 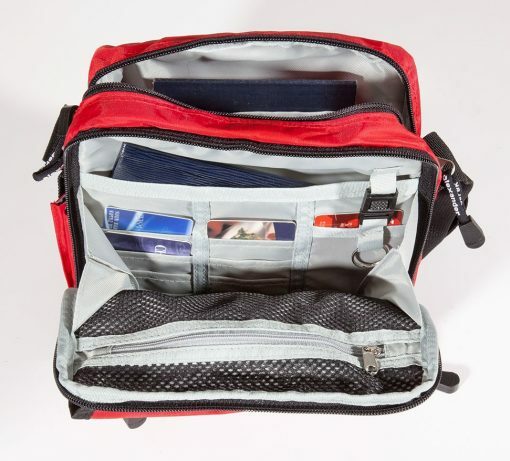 There is a zippered pocket on the rear exterior and a cell phone pocket on the side secured with Velcro.